Filed to: he said what?Filed to: he said what? With Hurricane Florence bearing down on the East Coast, Donald Trump thought it was a good job to tweet about Hurricane Maria’s impact on Puerto Rico. Rather than warning people of the risks posed by hurricanes, he decided to make it about him and deny that nearly 3,000 Americans died on his watch because of a poor federal response. In back-to-back tweets, Trump said the 3,000 excess deaths in the storm and its aftermath—a number from a report written by top public health researchers and commissioned by the Puerto Rico government—was actually fabricated by Democrats to make him look bad. So yes, Donald Trump is not just a climate denier, he’s a hurricane death denier. Bad politics isn’t working diligently to estimate how many lives were lost in a storm. It’s calling the response to Maria an “unsung success” when it was clearly anything but. 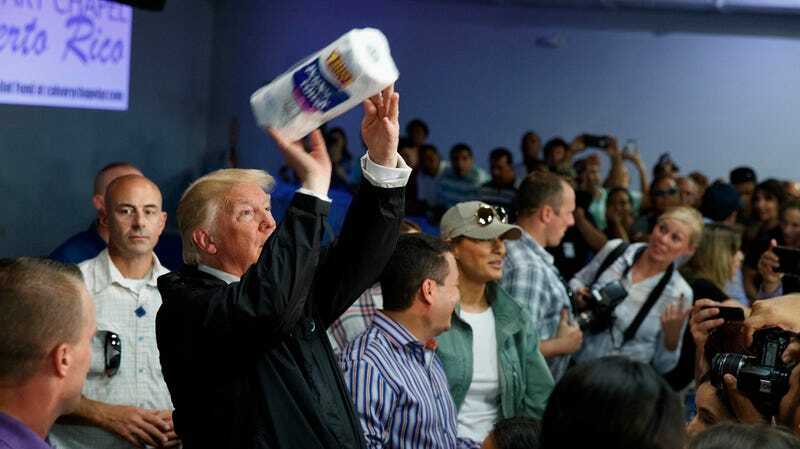 And loving Puerto Rico would mean not going there for a photo op, shooting hoops with paper towels, and then flying away as the federal response continues to flounder. Look, the bar is incredibly low for Donald Trump. He says wildly outlandish things and frequently lies. But this is a new bottoming out, disgracing thousands of Americans who died on his watch and their families who are still picking up the pieces. Hurricane Maria is an American tragedy that we’re still seeing unfold almost a year after the storm. And the timing is even more disturbing given what the Carolinas face. Hurricane Florence could drop a record-setting amount of rain, batter the coasts with storm surge, and unleash a torrent of toxic waste. Did Hurricane Maria Worsen Puerto Rico&apos;s Asthma Crisis?